Aaron is enigmatic. When you see him towering out there6’9″, 235 with his 7 foot wing span you say, “Basketball Star.” As you get to know him a little better you notice how quiet and affable he is. Then you find out that he has a great genetic propensity for basketball as his father played in the NBA and European Pro-basketball. He graduated from Highland High School in the Antelope Valley in 2011 and decided to sit out of basketball for a year to heal this sore knee. Jones has grown two inches and gained 20 pounds of muscle since he graduated from high school. Aaron is a strong presence in the paint and is working on an outside shot. 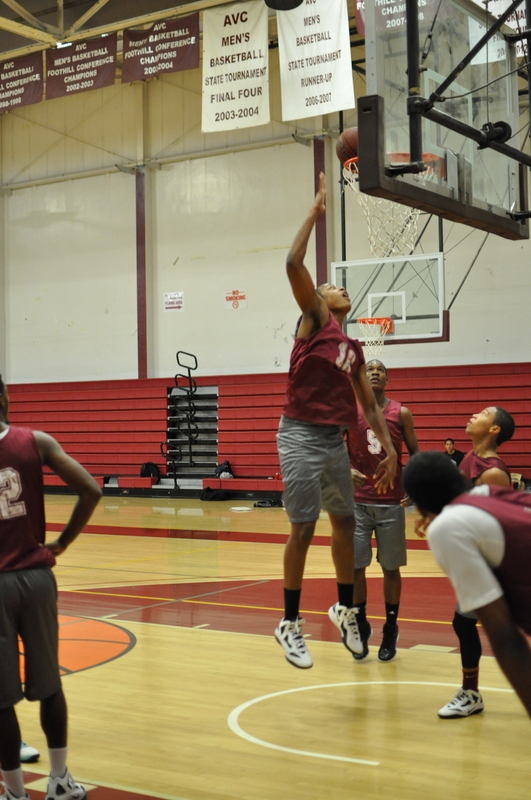 As the summer came to an end, Aaron turned it on and is one of AVC’s top rebounders. He has all of the physical talent for a college player and will add size AVC this year in the paint. Aaron had the first of two necessary knee surgeries this year and injury red-shirted.